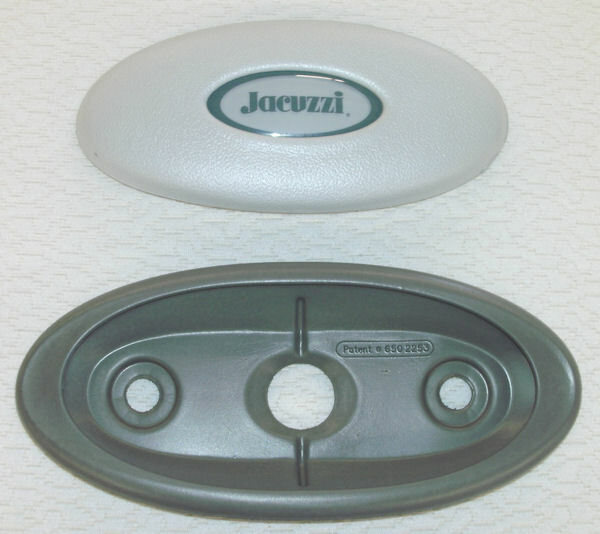 Jacuzzi J-300 Series factory original replacement headrest pillows. This is the newer -style Jacuzzi pillow insert with a translucent center logo. Replaces the old "solid grey" pillow insert.. All other components remain the same, including the darker grey pillow back.. 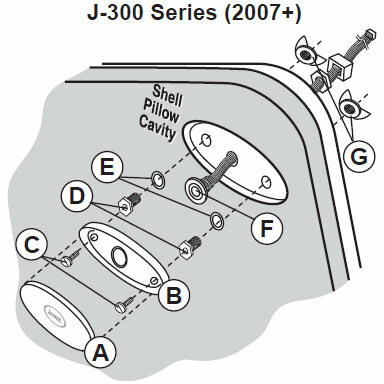 Fits all J-300 Spas, from the J-310 to the J-385, made from 2002 to 2014. 2014 to present day can use this pillow insert and pillow back, but mounting hardware is a bit different than shown here. All orders over $34.99 ship free.